The Staves are able to pack a punch with so very little. With whispering, acoustic guitars the sisters, consisting of Emily, Camilla and Jessica , showcase their ever sooo smooth and silky vocal harmonies that makes you feel like you're travelling on their emotional journey with them. 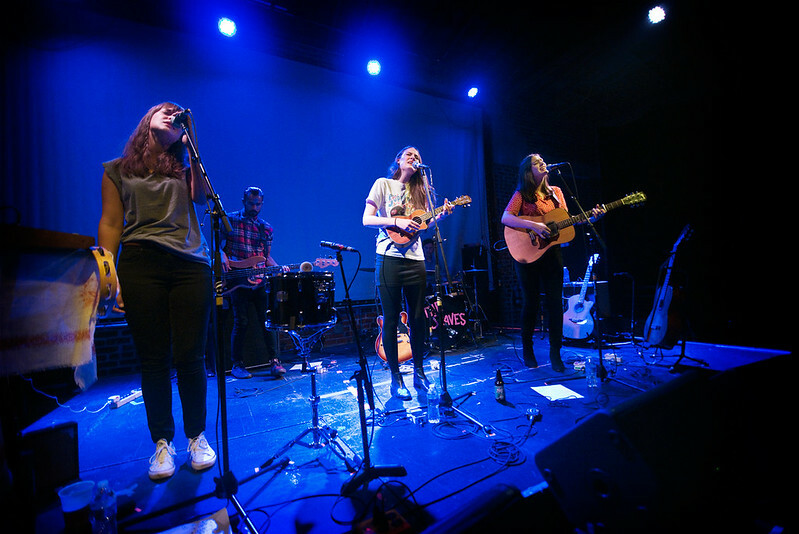 London's The Staves has gained popularity here in the States when they opened up for The Civil Wars in 2012 and has gained more loyal followers since their strong showing at last year's South By Southwest in Austin, Texas while also supporting Bon Iver during his North American tour. Their debut album Dead & Born & Grown was released in November 2012. Listen to their new track "Open" exclusively at Line Of Best Fit right HERE. It's off their upcoming EP The Blood I Bled which drops Oct. 27th via Atlantic Records.